Rare and must-have Seekers memorabilia – perfect additions for any Seekers fans! Treat yourself, or your loved ones, to a range of products from hand signed coffee table books, to collector's edition posters and the newly released DVD "The Legendary Television Specials". 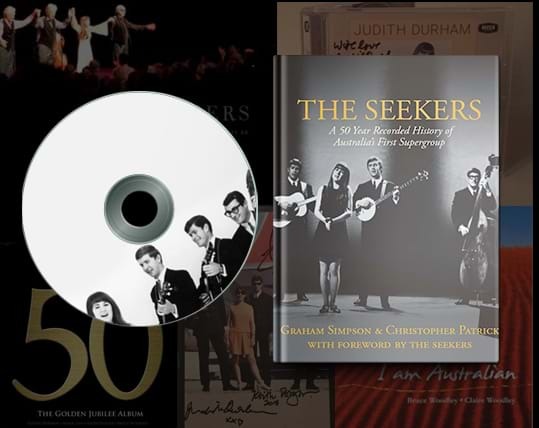 AUSTRALIAN MUSIC LEGENDS THE SEEKERS SAY GOODBYE WITH ‘GOLDEN JUBILEE’ CONCERT LIVE ON CD & DVD! Here are the Pre Order links for the CD and DVD.